Around the world, a Unilever product is chosen 160 million times each day. From feeding your family to keeping your home clean and fresh, Unilever brands are part of everyday life. Unilever South Africa (Pty Ltd), a subsidiary of Unilever PLC, is one of the largest FMCG companies in the South Africa. The company is over 100 years old and started operations within South Africa (SA) in 1891 when the Sunlight trademark was registered. The company has over 3 500 full-time employees across two corporate offices and seven manufacturing locations in the country. For three years in a row, the Top Employer Institute rates Unilever South Africa, as the country's number one employer in South Africa. Unilever places people at the heart of it strategy. A lot of emphasis is placed on the development of leaders who are then able to take HR policies and implement them within the company. The company has world class facilities that demonstrate the investment that the company is making towards its people. This promotes engagement amongst employees and further shows leadership's commitment to diversity and inclusivity. In addition to this, Unilever has a highly regarded graduate programme that offers a world class leadership development curriculum which offers international careers and mentorship programmes. Unilever's strength is its brands. 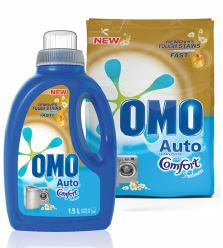 Sunlight is Unilever's biggest selling brand, although others such as Omo, Lux, Lipton, Ola and Knorr are also household names. Unilever operates in nine product categories - laundry, savoury and dressings, skincare and cleansing, margarine, deodorants, household care, tea, hair care and ice cream. For the seventh consecutive year, nine of its homecare, personal care and foods products have won the product of the year awards in 2015. The company's product development and marketing expertise are global, while strong local roots enable it to fine-tune these to South African needs. Annually, Unilever invests approximately € 891 million spent on Research and Development worldwide. Consumer research plays a vital role in brand development. Unilever is committed to deliver on the company's vision to decouple growth from its environmental impact, while increasing positive social impact. Unilever aims to create a bright future for South Africans through its brands. The company want to reach more people in more places more often with brilliant brands and brand experiences to improve their lives. It puts social, environmental and economic progress at the heart of brand development. In so doing, a R 1.4 billion Home Care factory was officially opened by Paul Polman, CEO of Unilever and the Minister of Trade and Industry, Dr Rob Davies in Boksburg on 2 June 2015. The brand new factory includes green and world's first technologies - a project that began in 2013. It is one of Unilever's largest investments globally and underscores its commitment to the long-term future of South Africa and the continent as a whole. 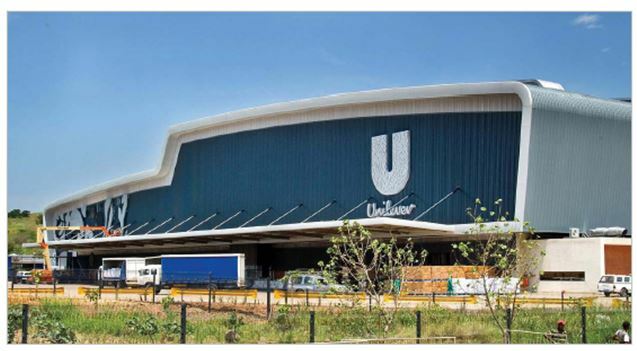 Unilever also officially opened its Indonsa factory expansion on 3 June 2015, after a R 511 million investment. This development follows the initial investment for the construction of the Savoury products factory at the end of 2011 - which makes this site one of the largest Savoury factories that Unilever has globally. In addition, Unilever has also invested about R 500 million in the construction of a novel, state-of-the-art ice cream factory to increase Unilever's capacity for growth and service increasing demand for brands like Magnum, Cornetto, Gino Ginelli, Paddlepop, Frutarre and Rich n Creamy in South Africa. Unilever's vision is to create a brighter future for all South Africans, where people can improve their quality of life without increasing their environmental footprint. Unilever launched the Unilever Sustainable Living Plan (USLP) in 2010, with a local chapter for South Africa.